Anxiety and movement disorders may increase with age in adults with Angelman syndrome, while the prevalence of seizures may decrease, a study suggests. 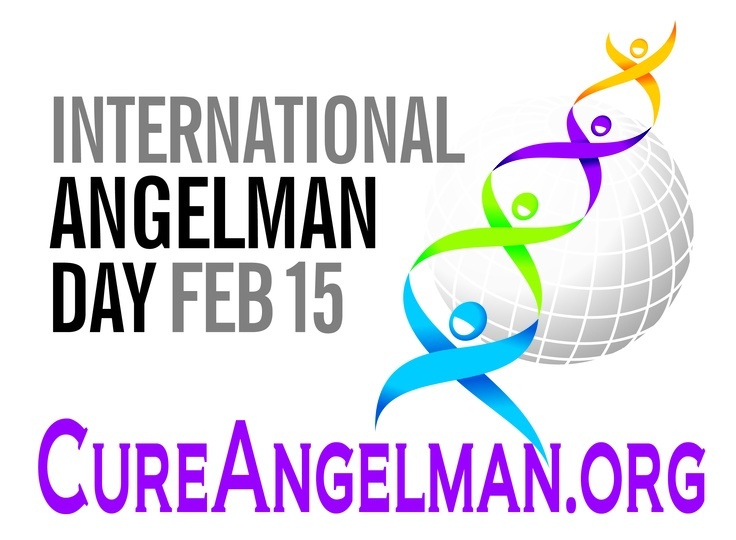 Today is International Angelman Syndrome Day. It is a day to bring awareness to this disorder. Epileptic seizures contribute more than previously thought to autism symptoms in patients with Angelman syndrome, according to researchers. The study, “Effect of epilepsy on autism symptoms in Angelman syndrome,” was published in the journal Molecular Autism. Autism and epilepsy often co-occur in patients with Angelman syndrome, but the extent to which the association between autism symptoms and epilepsy is due to shared aetiology or to the direct effects of seizures was unclear. Click here to the rest of the story. Annual awareness observances are sponsored by federal, health and non-profit organizations. Awareness campaigns serve the purpose of informing and educating people on a certain causes. Each year, the number of special needs organizations bringing awareness to specific disabilities and disorders seem to grow. Awareness activities range from one day to a month. 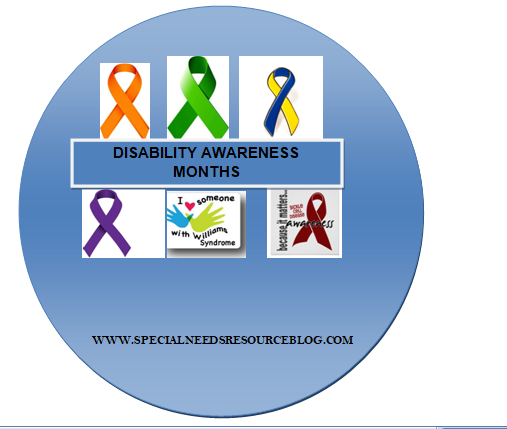 Here is a calendar of major special needs awareness months, weeks, and days. Most websites include awareness toolkits, promotional materials and fact sheets. Since it is still early in the year, some of the campaigns still have 2017 campaigns on their websites. I will add new information once the changes are up on the websites. Angelman Syndrome is a genetic disorder that affects the nervous system. 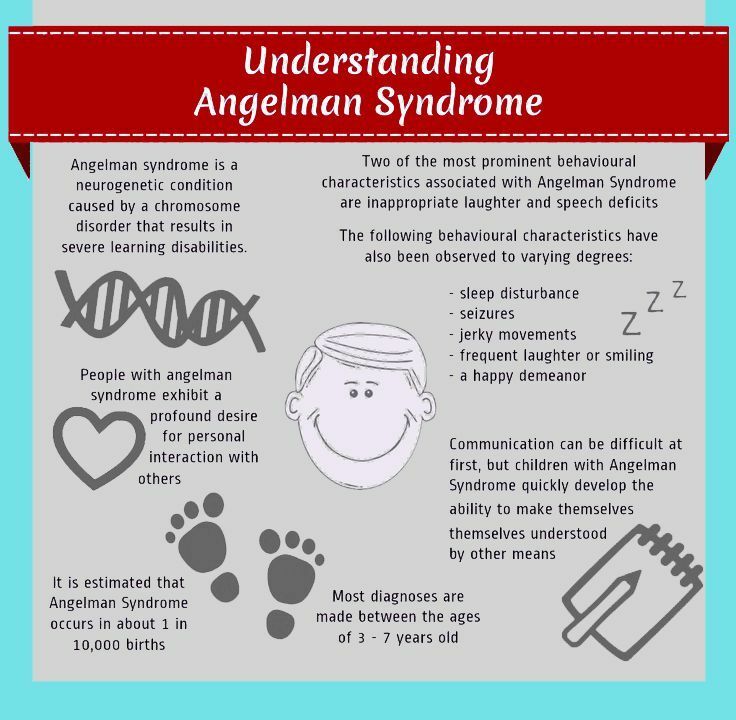 English pediatrician, Dr. Harry Angleman first described Angelman syndrome when he observed 3 children who had similar features including unusual happiness, developmental delays and similar facial disorders. He originally called it the “Happy Puppet Syndrome” based in a 17th century Italian painting by Gian Francesco Coroto. In most cases, a gene located on chromosome 15 is generally missing or damaged, in some cases, the individual may have 2 copies of the paternal chromosome 15. Angelman Syndrome Foundation– The mission is to advance the awareness and treatment of Angelman Syndrome through education, information and research. Foundation for Angelman Syndrome Therapeutics– FAST is an all volunteer organization of families and professionals dedicated to finding a cure for Angelman Syndrome and related disorders.